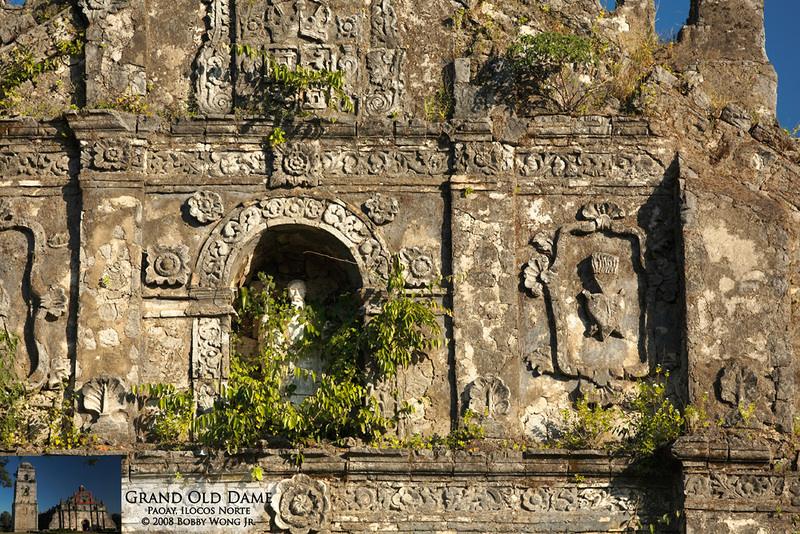 The Baroque church in Paoay, Ilocos Norte is a UNESCO World Heritage site. Those who've seen it understand why. From a distance the architecture is grand and imposing, but when viewed up-close the surviving and intricate stonework is beyond amazing. Five stars. Having seen photographs from several perspectives, it was my turn to pay homage to this Grand Old Dame, pondering how to best capture her soul. Should I have spent the time as a pilgrim at pray rather than a tourist groping for posterity? There can be no regrets. To be standing in front of a 300 year-old stone church lit by the waning afternoon sun, it's an experience you don't soon forget. Enjoy!